ECS Group and its subsidiaries AVS GSA India & Globe Air Cargo India attended the Air Cargo India from 20th to 22th February. This major event gathers all our cargo industry actors and is the perfect place to explore the emerging market that India is. 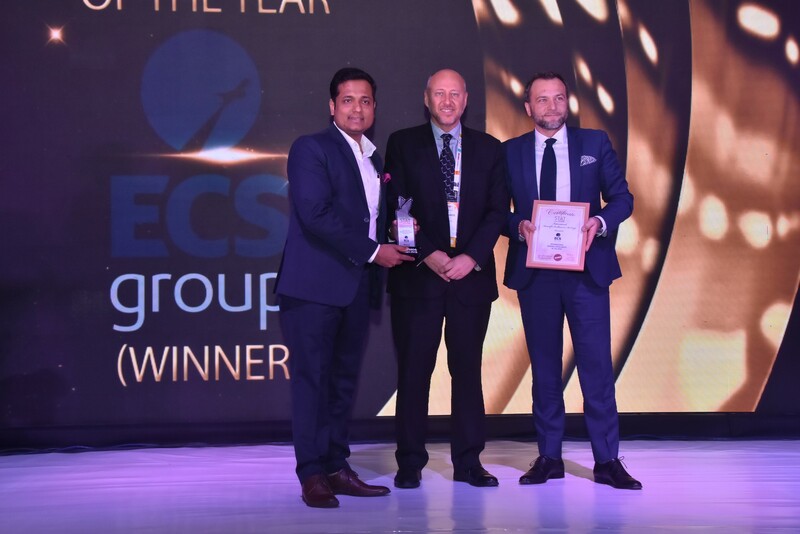 We are proud and delighted to have been awarded as International GSSA of the Year by Stat Time during the Air Cargo India Gala Award Night ! Thank you ! Congratulations to our Teams !